Military funeral: Tom Clarke of the Green Howards. Tom Clarke was wounded on 11th of March 1915 at Neuve Chapple in France and died on the 19th March at Netley Military Hospital aged 24. He was the eldest son of a family of sixteen of Thomas Henry and Pricilla Clarke of 20 Byron Street. 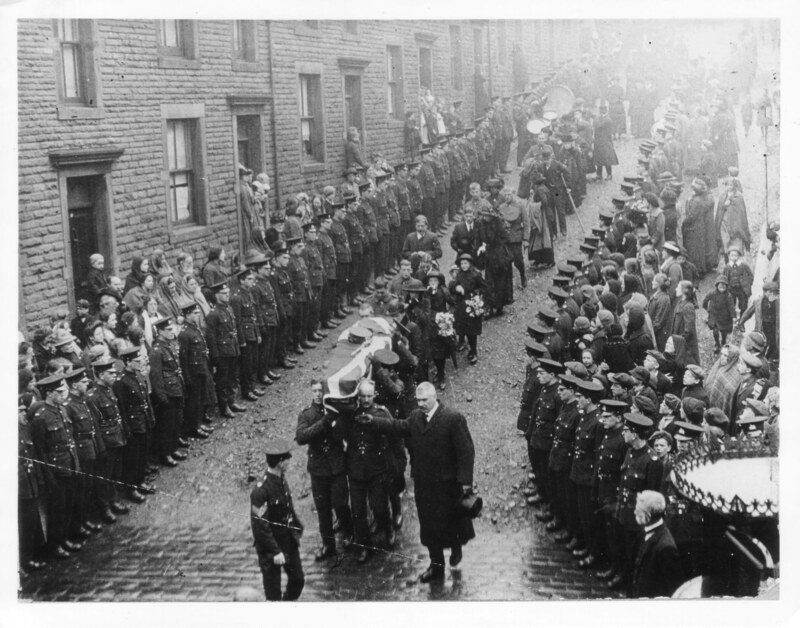 The picture shows the cortege leaving Byron St for a service at hrist Church. Tragically the youngest son Ennie was killed in action 1st March 1917 aged 19 years.